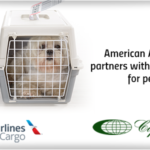 Coppersmith Global Logistics are proud to announce that American Airlines Cargo has contracted with us to provide customs clearance services for pets arriving from international origins. If a passenger does not already have a nominated customs broker, American Airlines will collect the necessary information and remit it to Coppersmith Global Logistics to prepare for the clearance at one of our U.S. gateway locations. The program is currently underway in Los Angeles, Dallas, Chicago and New York’s Kennedy airports. This would not have been made possible without the tremendous efforts of Cheryl Woodyard, Coppersmith’s Dallas branch manager who has been coordinating with American Airlines and their teams. While there has been much bad press regarding pets traveling on board aircraft, both AA and other airlines we work with are taking steps to assure that all pets are handled with the utmost care and support. 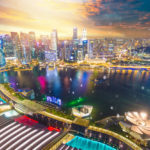 Coppersmith has created relationships with several international carriers to provide reliable services that minimizes delays in release and undue stress on your pet. We are also proud to be members of IPATA – the International Pet and Animal Transport Association who are dedicated to the safe transit of animials worldwide. When a pet is to be shipped to the United States, American Airlines’ origin stations take care to collect the necessary information from the shipper. This information is securely transmitted to us so we can prepare and file for release before your pet even reaches it’s airport of arrival. Both AA and our staff continually monitor flight details to ensure that the animal is released as quickly as the regulatory agencies will allow. By working closely with AA, we can take the stress out of reuniting a pet with their family. The full announcement from American Airlines Cargo can be found on their website. Coppersmith not only provides this service to airlines, but we provide it for individual travelers as well. If you or your family are traveling from overseas with your pet who will require clearance and entry into the United States, visit this page to learn more and download the necessary documentation to start the process. At Coppersmith, we specialize in family reunions and look forward to helping you with yours.